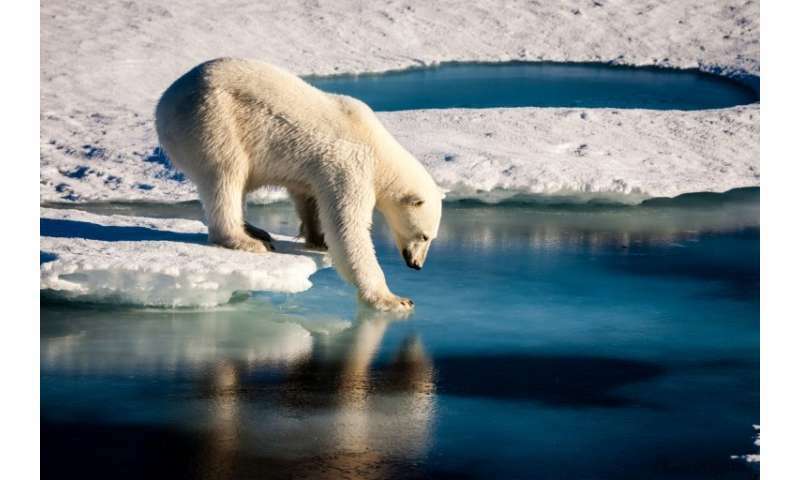 The 300-page report issued by the American Meteorological Society and the National Oceanic and Atmospheric Administration (NOAA) mentioned the word "abnormal" a dozen times, referring to storms, droughts, scorching temperatures and record low ice cover in the Arctic. Last year, the top three most dangerous greenhouse gases released into Earth's atmosphere -— carbon dioxide, methane and nitrous oxide -— reached new record highs. Smashing more heat records, temperatures reached 110.1 degrees Fahrenheit (43.4 Celsius) on January 27 at Puerto Madryn, Argentina, "the highest temperature ever recorded so far south anywhere in the world." Unprecedented heat enveloped the Arctic, where land surface temperature was 2.9 degrees Fahrenheit (1.6 Celsius) above the 1981–2010 average. Arctic temperatures were the second highest—after 2016—since records began in 1900. And glaciers across the world shrank for the 38th year in a row. "Cumulatively since 1980, this loss is equivalent to slicing 22 meters off the top of the average glacier," said the report. Global sea level reached record high in 2017 for the sixth consecutive year. The world's average sea level is now three inches (7.7 centimeters) higher than in 1993. "I think of the oceans like a freight train," oceanographer Gregory Johnson from NOAA's Pacific Marine Environmental Laboratory told reporters. "If we were to freeze greenhouse gases at the level they are today, the oceans would continue to warm and seas would continue to rise for centuries to millennia." Precipitation in 2017 "was clearly above the long-term average," said the report. Some parts of the world suffered extended droughts, demonstrating that "extreme precipitation is not evenly distributed across the globe." "The most recent global coral bleaching lasted three full years, June 2014 to May 2017, and was the longest, most widespread and almost certainly most destructive such event on record," said the report. It was 460ppm back in 2010, when they thought it was 360ppm then.